When searching for affordable, dependable Salem County portable toilet rental, Starr Septic Services has you covered. Starr Septic is based nearby in Franklinville, NJ, and our company provides septic services to businesses and homeowners in South Jersey. In addition to our clean and new portable toilets, we also offer septic system repair, septic pumping and much more. Starr Septic is a part of the Starr General Contracting group, which has been proudly serving South Jersey for over 30 years. Whatever your reasons for needing a port-a-pot or port-a-john, you’ll want a clean and brand new portable toilet for your event or job site. We’ll deliver the unit to your location, and we can also take care of restocking of paper and sanitary products based on the length of the rental. 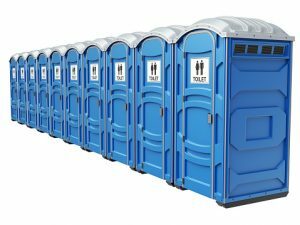 For businesses and residents seeking Salem County portable toilet rental, we can arrange for 3-day, 7-day, and/or monthly rentals. We offer ADA-compliant, accessible units and hand wash stations with a foot pump or hand sanitizer. Should you require a longer rental, we’ll take care of the pumping and keep the unit clean and empty for people to use safely and comfortably. Need a restroom trailer on your site? We can deliver one to your construction site or large outing. We provide trailer units with all of the necessary creature comforts…running water, functioning toilets and sinks, and separate restrooms for men and women. Our portable trailers feature additional privacy for users, and they are perfect for corporate events, fundraisers and outdoor parties of any size. Get the ideal portable toilet for your sanitary needs. Contact Starr Septic today at (856) 875-5020 for a free estimate, and to find out more about how we can meet your portable toilet needs and our flexible agreements. We’ll help you take one less worry away at your next outing.